HOME OF THE SOUTH'S SUSHI BURRITOS! 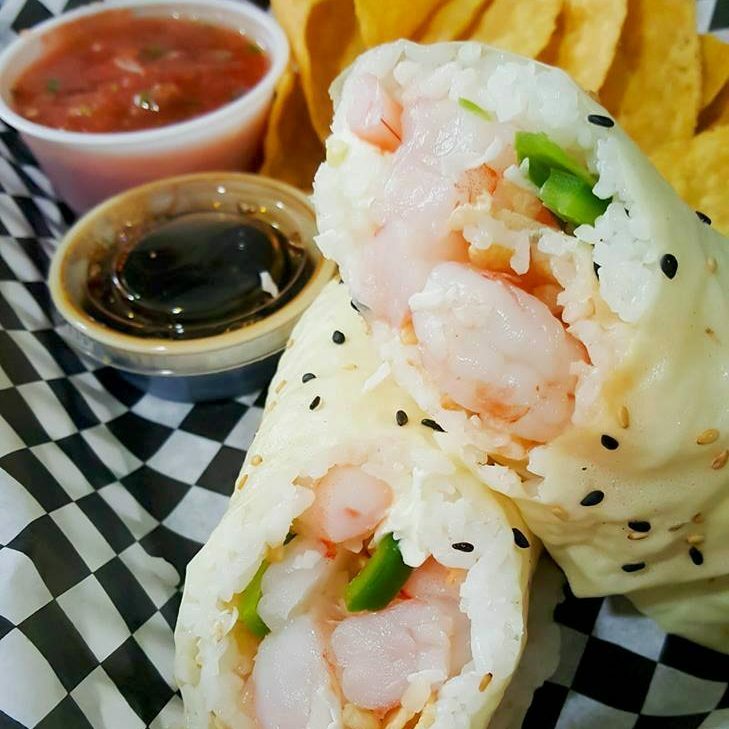 Wasabi Juan’s offers sushi ingredients rolled “burrito-style” in soy wraps and nori, as well as crunchy tacos stuffed with spicy tuna, shrimp ceviche & more. Juan’s also features Mexican Cokes, coconut rice “fruishi rolls” with whipped cream, citrus salt edamame and even Hawaiian ahi poke’ with macadamia nuts. Fresh, delicious and perfect for lunch or dinner. Pepsi, Sunkist, Grapico, Canada Dry, Mountain Drew and Dr. Pepper in a glass bottles. We also offer Jarritos in different flavors.